If Privacy is what you are looking for this is the home for you. Very unique custom built home with amazing views on this 4 acre point surrounded by water. Come and watch the sunsets! 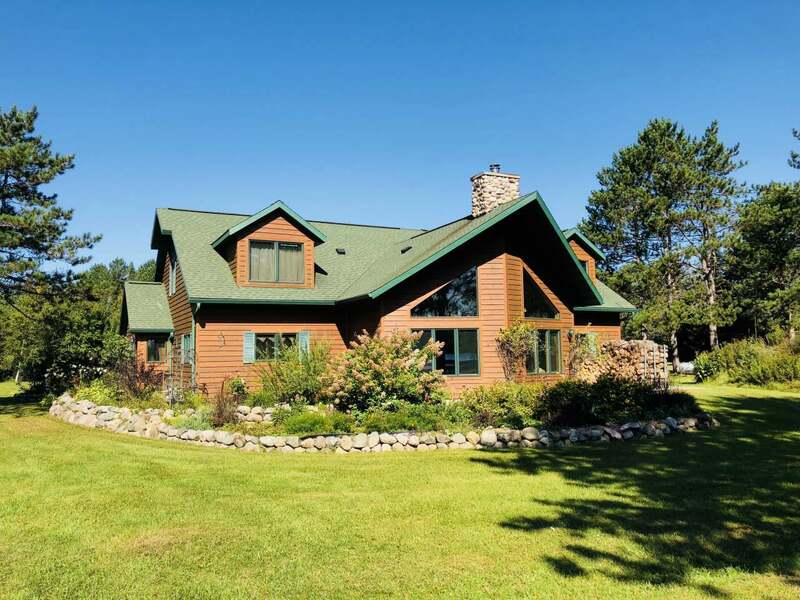 Custom design home is featuring a main level floor plan offering a "chalet style" in the great room. The main level contains the main entry, large custom kitchen with island, and walk-in pantry, nook area that looks out to the lake for that morning cup of coffee with a view, master bedroom(with fireplace) and full bath with soaking tub and separate shower, large laundry room, swim spa with plenty of ventilation. The second level has two large bed bedrooms, full guest bath multiple storage closets and two huge bonus rooms above the four-car garage. Zone Radiant Heat and forced air heat/ cool with Geothermal for very low utility bills. Attached four car insulated and heated garage and stairs to the bonus room, detached boathouse/garage. Good lake for all water sports and fishing.